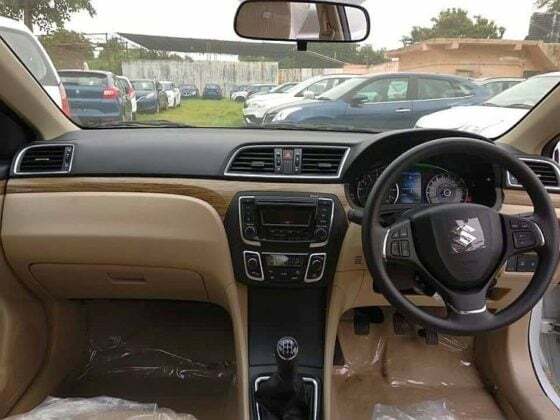 2018 Maruti Ciaz Interiors have been revealed in these clear spy shots. Also, the sedan has started reaching showrooms ahead of its August-end launch. We expect the sedan to be priced starting from Rs 8 Lakhs up to Rs 11.6 Lakhs. Check out the photos and details of the interiors of the upcoming sedan. In this latest scoop, the 2018 Maruti Ciaz Interiors have been revealed in the recently surfaced spy shots. The upcoming sedan has started reaching various Nexa showrooms ahead of its launch in End of August. The images are much clear and without any camouflage, giving you a complete idea of what it will look like on the inside. In the C-Segment sedan group, Ciaz is the only one to receive an update yet. The Verna got it last year, Honda city too and Yaris was just launched this year. Currently, the official bookings for the sedan have begun at a token amount of Rs 11,000 to Rs 21,000 depending on dealers. Also, the media events are starting in a couple of days. While we have a lot of updates of the upcoming Ciaz, check out the details of the 2018 Maruti Ciaz interiors to know more. 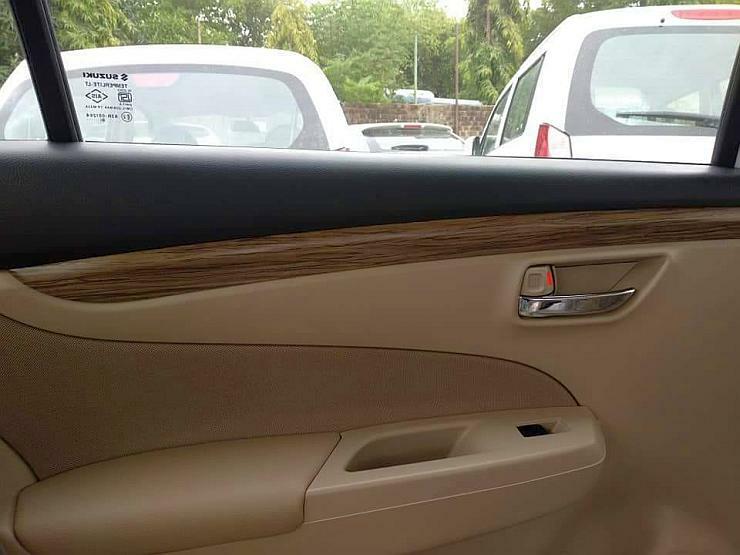 Now, here we have the spy shots of the 2018 Maruti Ciaz interiors of the Delta variant. Starting, it gets a dual tone beige and black colour for the dashboard. Across the dashboard, there are heavy wooden inserts. Right from the Delta variant, it gets MID cluster as standard fitment. It gets blue-coloured tachometer and speedometer needles. A similar MID cluster is seen in the Baleno too. The MID cluster also shows Smart Hybrid, which means that it can offer SHVS right from the lower variants. The centre console comes with a small infotainment system with possible Bluetooth, CD player, and USB connection. Although, the high-end variants would come with touch-infotainment screens with Android Auto and Apple CarPlay. Also, there are steering mounted audio controls. Another scoop says that the Ciaz will also get seat-belt reminder along with a speed-alert system. These features will be standard across all variants. 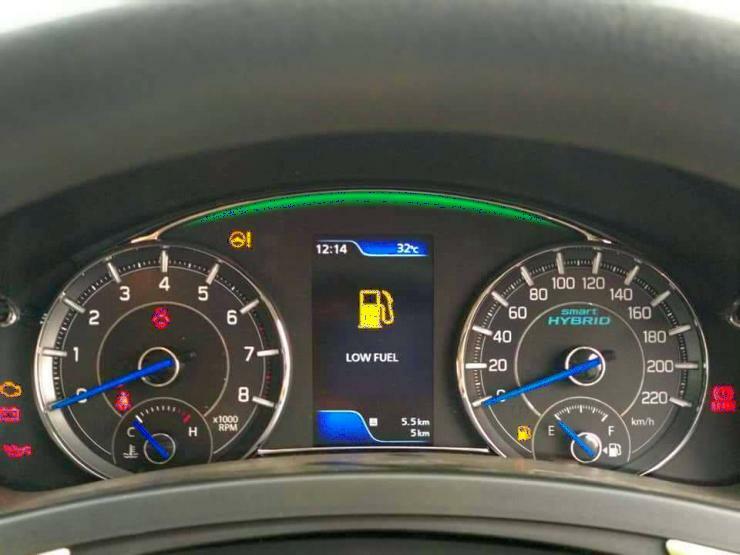 A similar speed alert system is found in the Vitara Brezza. If the driver exceeds over 80 km/hr, the system prompts with 2 beeps every 60 seconds. As it exceeds 120 km/hr, there is a continuous beeping sound. As we said, currently, the booking for the 2018 Maruti Suzuki Ciaz is open across all the Nexa dealerships. It has started reaching showrooms ahead of its launch in August end. The new Ciaz also gets a major update under its hood. It features a new 1.5 Litre K15B petrol engine that churns out 104 BHP of power and 138 Nm of power. It might come with a 5-speed MT for petrol and 6-speed MT for diesel variants, along with 5-speed Auto for the petrol variant. Features onboard will include Projector Headlamps, LED DRLs, LED Tail Lights, New 16-inch alloy wheels, Key Less Entry, Push Start/Stop Button, Tilt-Telescopic Adjustable Steering Wheel and much more. Safety features will include SRS Airbags (2 Airbags standard and up to 6 in the top-end variant), Anti-Lock Braking System (Standard), Electronic Brake Force Distribution (Standard) and ISOFIX Child Seat Mounts.